This is Part 25 of Anne Boleyn Files visitor Esther Hyams’ wonderful series of poetry on the life of Anne Boleyn. And thus women who quarrelled he had no wish to pursue. Replacing furious resentment with gracious persuasion. The King had found her witty repartees so thrillingly enticing. Even Anne’s reproofs and sulks ended in amorous reconciliation. Henry felt trapped and hated being in this scolded cage. But it was felt by men to be utterly unacceptable in a wife. And Henry was annoyed that Anne’s temper was not abating. She was warily vigilant for the King’s eye began to wander again. 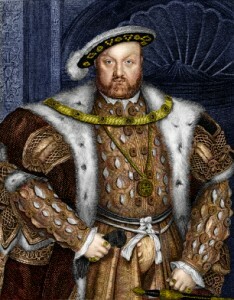 Once more King Henry’s lustful desires and amours continued. Anne’s cousin, and so would not be full of ambitious ploys. And she was part of Anne’s family so she would be no danger. In autumn 1534, there was a ‘handsome lady’, young and spry. To re attract her husband the Queen must do all that she can. How could it not be worrying, considering Anne’s rise to power? And without a son, Henry could pick any ambitious, pretty flower. On the subject of this anonymous lady she tried to publicly attack. And Anne had this handsome young rival sent away from court. No one in Court, not even the King, would try to contradict her. At 35 years old, began to wane after all that she had endured. No longer the fresh young damsel or an entrancing diversion. Her charm, wit, intelligence that was so alluring had been regained. Did not mind being managed by one in a respectful and gracious scene. And the tempestuous Queen Anne still knew well how to manage him. Click here to read the next poem in the series – “Rages and Miscarriages”.